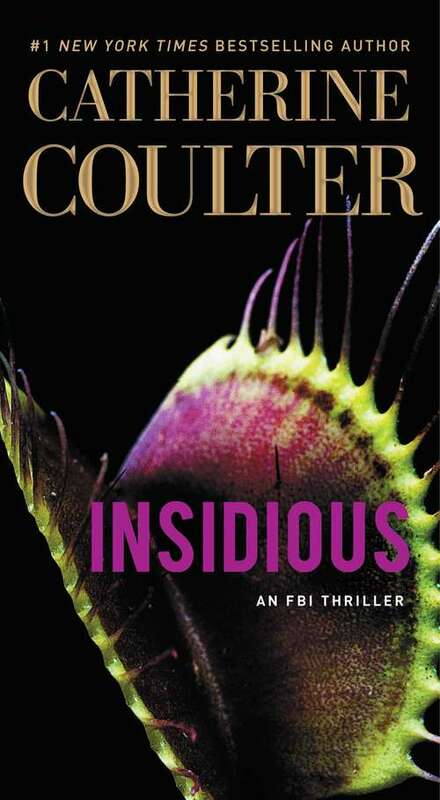 Insidious is the twentieth thriller in #1 New York Times bestselling author Catherine Coulter's FBI series. FBI agents Savich and Sherlock must discover who is trying to murder Venus Rasmussen, a powerful, wealthy society icon. They soon find out that the danger may be closer than expected.Venus Rasmussen, a powerful woman who runs the international conglomerate Rasmussen Industries, believes someone is poisoning her. After Savich and Sherlock visit with her, someone attempts to shoot her in broad daylight. Who's trying to kill her and why? A member of her rapacious family, or her grandson who's been missing for ten years and suddenly reappears? Savich and Sherlock must peel away the layers to uncover the incredible truth about who would target Venus. Meanwhile, Special Agent Cam Wittier leaves Washington for Los Angeles to work with local Detective Daniel Montoya to lead the hunt for the Starlet Slasher, a serial killer who has cut the throats of five young actresses. When a sixth young actress is murdered, Cam comes to realize the truth might be closer than she'd ever want to believe. With breakneck speed and unexpected twists and turns, Coulter's Insidious will leave you breathless until the shocking conclusion.